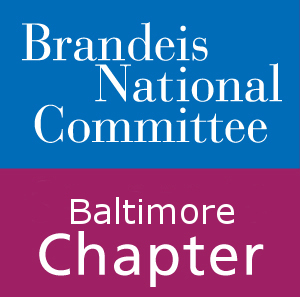 Time and again, the Brandeis National Committee has proven itself a loyal partner of Brandeis University. Raising support for the Sustaining the Mind campaign, student scholarships and the libraries, we now have another achievement to celebrate. We are thrilled to share that the Brandeis National Committee’s Magnify the Mind campaign exceeded its initial goal of $500,000 to purchase and equip space for a two-photon resonance microscope. Together, we have raised over $700,000! In order to fully complete the state-of-the-art microscopy center, please consider joining us in raising an additional $260,000 by June 30, 2019. This effort will enable professors, students and researchers to advance their understanding in neuroscience. As Steve Van Hooser, associate professor of biology who leads the Neural Circuits Lab at Brandeis shared, “our life’s work is not possible without philanthropy and we are grateful to BNC.” Additional equipment and preparation for the space are fundamental next steps for using the microscope to its fullest potential. Thank you for your contributions and impacting the future of Brandeis. Please visit giving.brandeis.edu/bncmagnify to support the campaign today. See giving levels and opportunities by clicking here.